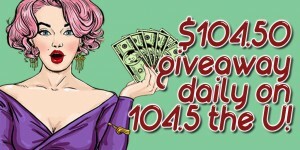 Fall is officially here, and 104.5 The U is celebrating with a daily cash giveaway! 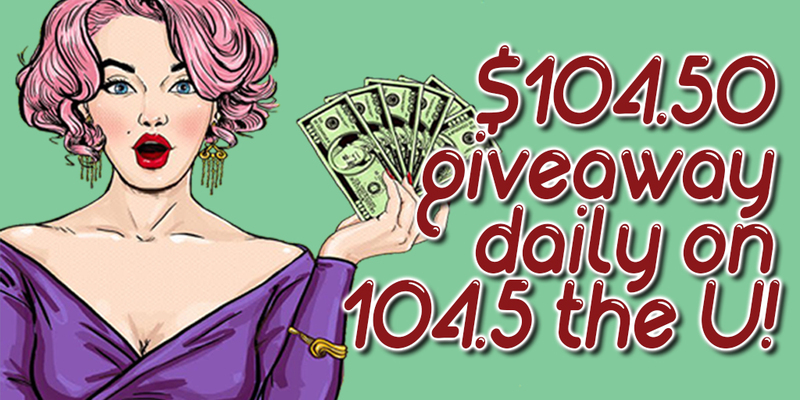 Yep, you heard that right – Starting Monday, October 1, YOU have a chance to win $104.50 in cold, hard cash EVERY SINGLE WEEKDAY! Post it somewhere handy-dandy, like your home or office refrigerator. Perhaps print out one for your car as well? 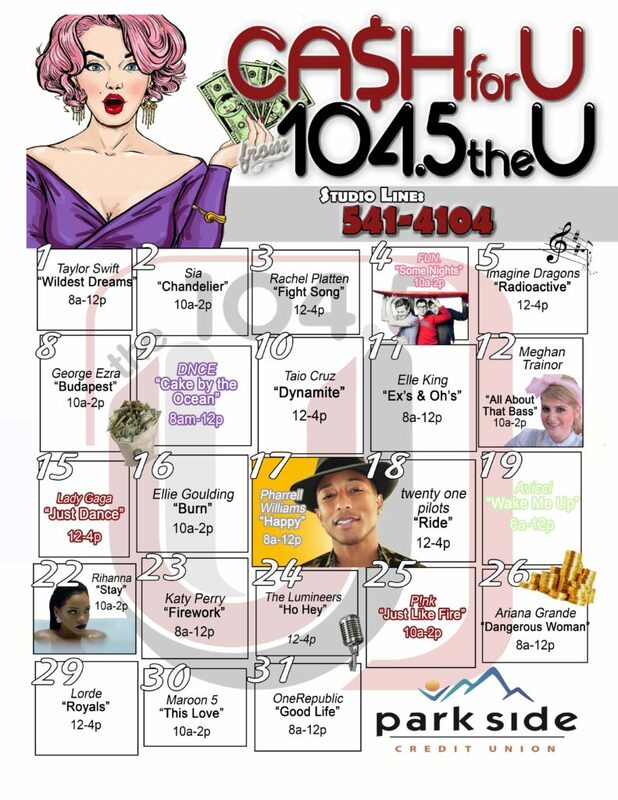 Check it out every day to see what song you’re listening for that day, and then tune in to U104.5. When you hear the song, call our studio line at 541-4104 – tenth caller wins! Again, that number is 541-4104. Good luck! And thanks again to Park Side Credit Union for sponsoring yet another great U Cash Calendar! Check out the “Song of the Day” calendar below – print it out and keep it handy for your chance to win $104.50 cash money all month long!